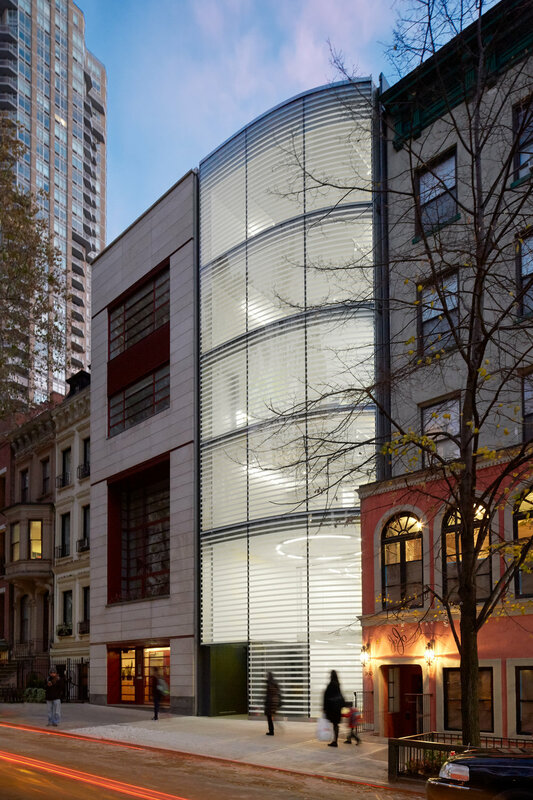 A new architecture school was created by a complete renovation and adaptive re-use of the old college library on the City College campus in upper Manhattan. Major intervention to the existing building included cutting floor slabs to generate a central atrium and allowing light into the large floor plate and adding mezzanine floors to increase the overall building area. The majority of the original structural elements remained while the entire exterior wall and fenestration were completed redesigned. The program included classrooms, studio spaces, gallery and exhibit spaces, model shop, computer lab, administrative and faculty offices, a library and an auditorium. The objective was to provide flexibility in the classroom and studio layout to allow for future changes. Collaborative and community spaces were provided throughout the building as part of social learning environment. A roof top terrace and amphitheater provided outdoor space for student gathering and events and views of midtown Manhattan. *Projects by Fred Wilmers as Director while at Rafael Viñoly Architects.